Although I had planned months before to go to ITB Berlin, a large travel industry trade show in Europe during March, I waffled when it came to arranging my trip. Just days before I was still sitting at my computer and trying to decide when and where I would go, and how I would tack on at least one extra destination besides Berlin. 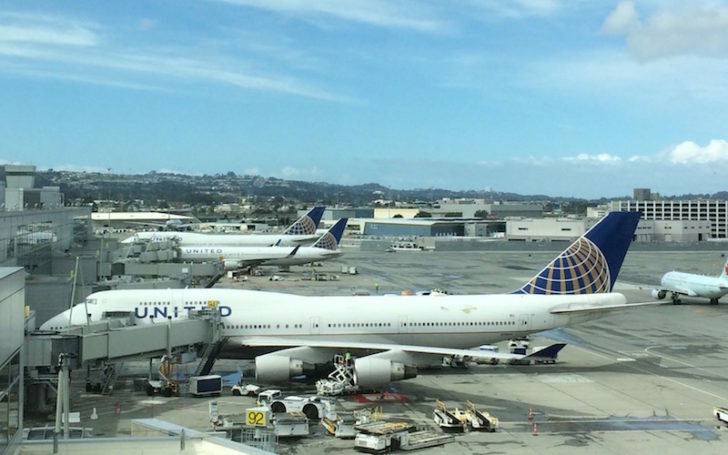 Fortunately award space on United Airlines and Lufthansa was plentiful. 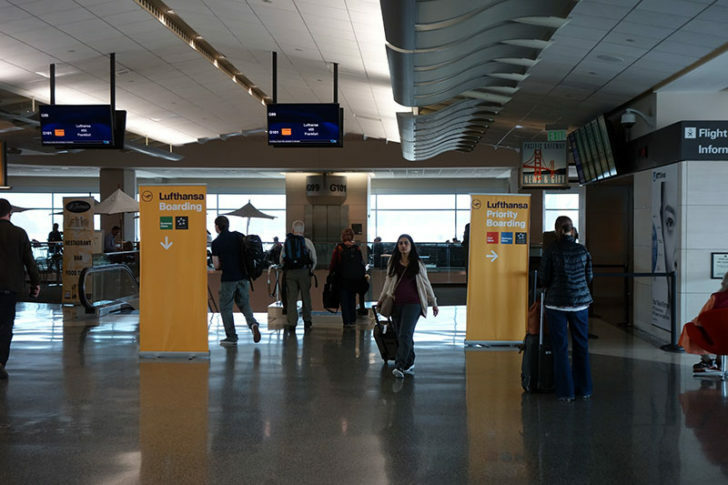 I switched flights a couple times before settling on Lufthansa’s non-stop from San Francisco to Frankfurt, operated by an Airbus A380. 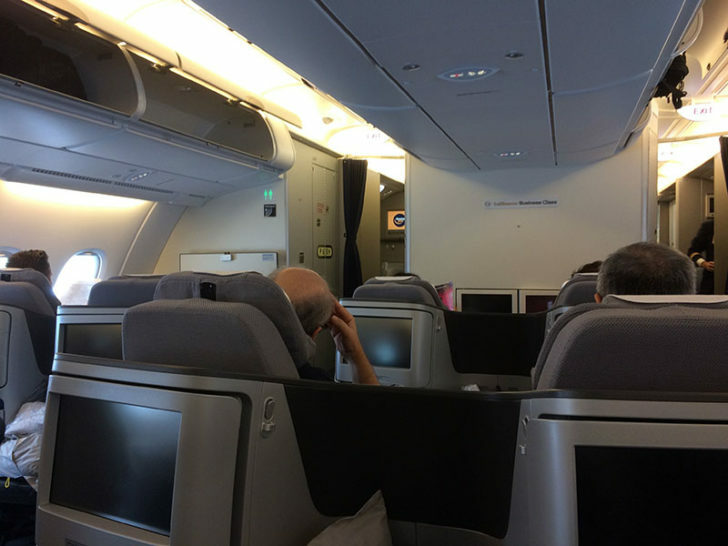 I had never flown on an A380 before nor had I experienced Lufthansa’s new business class. Altogether, it cost $39 and 70,000 miles for a one-way ticket, plus about $30 more to catch the bus down from Santa Rosa. Sadly, the Singapore Airlines SilverKris lounge closes in the early afternoon. I went to get some tacos and a margarita at Andale before heading to the United Club. The club at the international terminal doesn’t impress me much, so I won’t review it — it’s just big, similar to the Concourse E location in Houston. But it does have a good view (and you can see the aircraft taking off to the north). I got a glass of wine from the premium selection for $8. When it was time for boarding, I walked to the end of Concourse G and found that the flight was delayed. Fortunately the Lufthansa has separate waiting areas downstairs (for economy) and on the main concourse (for first and business class). This makes great sense if you’re trying to board a double-decker A380, and it reduces crowding. 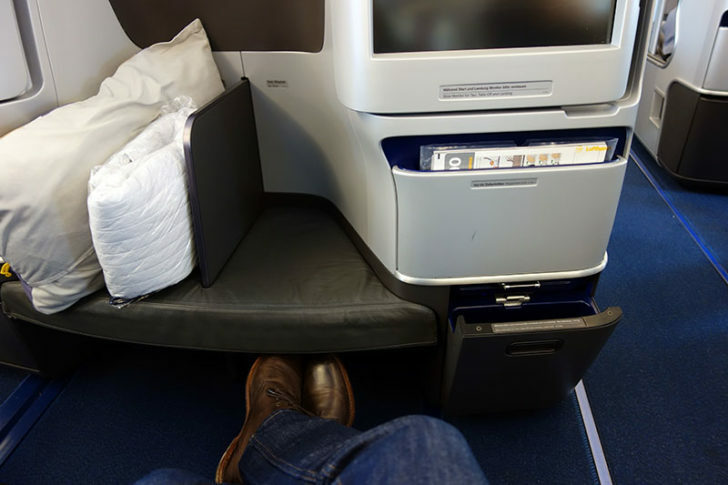 Lufthansa has a 2-2-2 configuration on the upper deck, so when making my seat selection I chose one of the center seats to get direct aisle access and not worry about anyone stepping over me during the night. However, I took a few pictures of the unoccupied window seats to avoid disturbing my neighbor, who was already settling in. 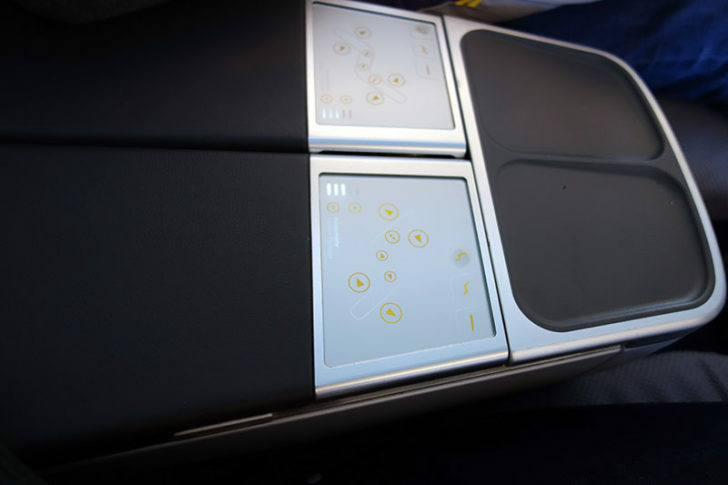 There is zero privacy between seats, so even with the lower density of business class the cabin felt very full. It doesn’t help that the entire time your seat is turned toward your neighbor’s. Legroom at my own seat was sufficient. Although it was nothing compared to what I’ve experienced on some first class flights, I could still stretch my legs with ease. That shared ottoman, however, made me a little worried about space once the seat was reclined in bed mode. If traveling as a couple I would probably pick the aisle seats. Storage was a bit limited. 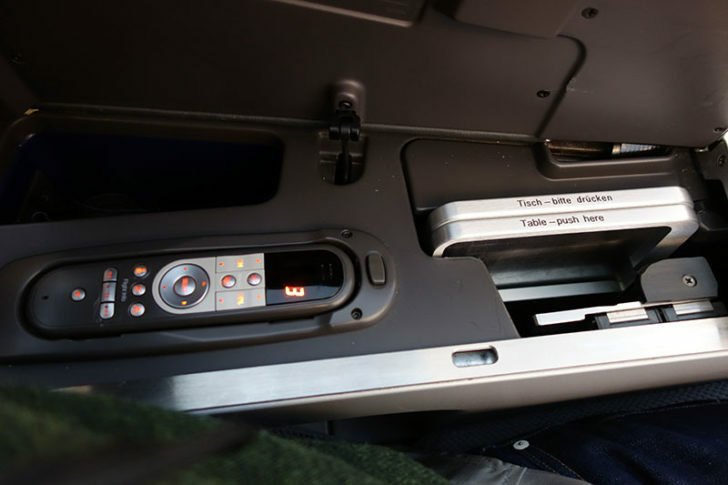 The arm rest popped up to reveal a very compact tray table, and there was a small (but deep) cubby next to the remote control. A second pop-out cubby under the television held a bottle of water and my amenity kit. This happens to be one of my favorite amenity kits. Why? Because of its simplicity. It is a nylon bag with a zipper on top. No stupid pouches with elastic straps. No hard containers that won’t fit in my carryon. It’s a bag. It’s supposed to hold things and not be in the way. And it does that job marvelously. This is the kind of toiletry case I would actually pay for. Contents were rather basic. 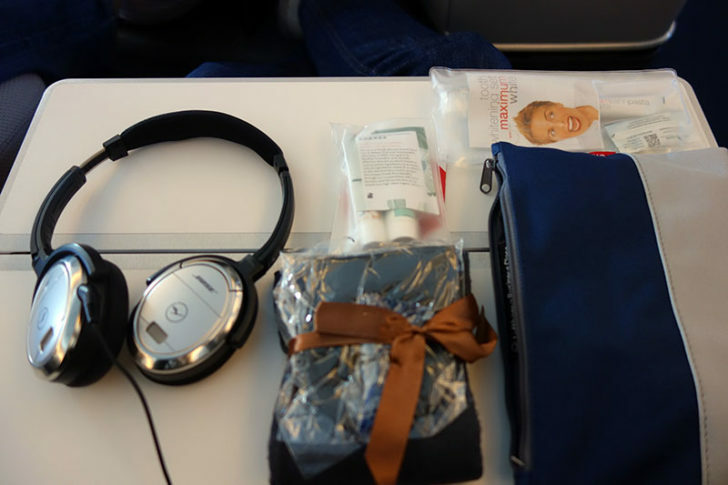 Toothpaste, ear plugs, eye mask and such. Nothing memorable but I don’t remember lacking anything either. I was also provided a pair of Bose noise-canceling headphones. 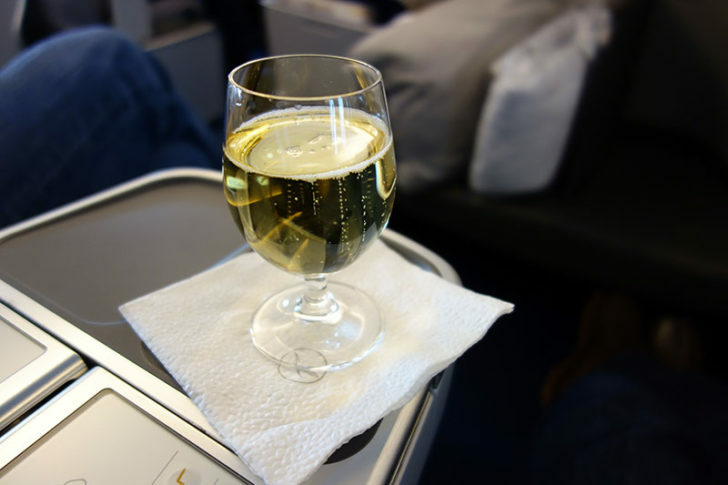 By this point the flight attendant had come by to provide everyone with a choice of water, orange juice, or Champagne (Castlenau Brut Reserve). She was fluent in German and English and seemed to do a good job of anticipating which she’d need to use when interacting with each passenger. Altogether friendly and efficient. Overall I didn’t see a lot to make the Airbus A380 stand out. 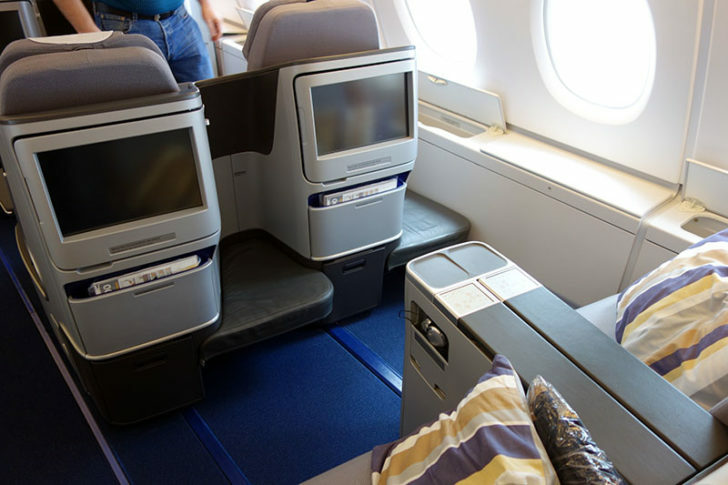 It was quieter than most planes, and it seemed spacious — though no more spacious than a Boeing 777-300ER. What did catch my attention were the cameras mounted on the outside. As we taxied to the runway, I started checking out the different views, including one feature that shows the airplane overlaid on a very detailed satellite map. There really isn’t much to see from any angle once you’re at cruising altitude. Near the ground, however, I definitely prefer the view straight down. It helps that I grew up in the Bay Area and know nearly every landmark. My dad’s plane used to be based in Palo Alto. Meal service started shortly after take-off with a bowl of pecans, sparkling water, and a glass of Scotch. There was also an option for a cold Express Meal in place of the multi-course dinner, though with a 3 PM departure, I wasn’t in any rush to sleep. I opted to start with the salmon and, since this was a flight to Germany, a pretzel roll. There were two red and two white wines. I was continuing with the bison and decided to stick with the Medoc throughout my meal. The salmon and bison were both better than I’ve had on most carriers. The beets were a particularly nice touch — I’ve learned to love beets since there are so many root vegetables up here in Seattle — though the polenta disc lacked in flavor and appearance. For dinner, the brownie and creme anglaise were the obvious choice, along with a cup of coffee. (I hate fruit sauce on chocolate desserts, but you’ll never hear me complain about creme anglaise.) This was just the right size. I can’t even remember what I watched on the television. I did get a good rest of at least four hours. That’s about as much as I can hope for since I’m usually a light sleeper. The seat was narrow, but so am I. Playing footsie with my neighbor was not the problem I originally thought it might be. For breakfast, everyone was served a hot meal on one tray. There was a plate of cold cuts with cheese that I passed on, but the rest was decent — nothing to write home about, but filling enough that I wasn’t hungry when we landed. The coffee was the best part. The croissant, though it doesn’t look great, was at least warm and not stale. 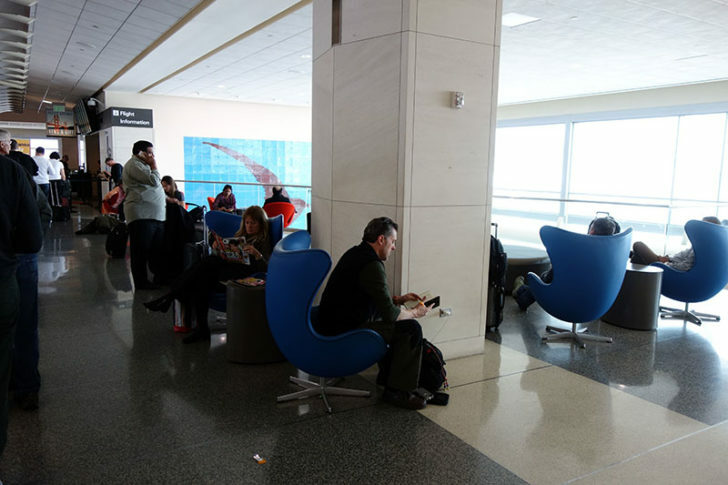 If you were still hungry, however, there was an invitation in the menu to the Welcome Lounge, where there would be additional hot and cold food options along with showers upon arrival. When we landed, I remembered too late to switch back to the cameras. We were already at the gate. But I tried anyway and was treated to this site of someone looking back at us. Ultimately it was a good trip. Nothing too special to write about, but nothing too disappointing either. I enjoyed the service, the food was tasty without being stuffed, and I slept about as well as could be expected for a mid-afternoon international departure. I’d book the same flight again if I needed to travel via Frankfurt. I was disappointed that there wasn’t something more “special” about the Airbus A380. With all the hype that it’s received from PR agencies and bloggers, I walked away feeling that it was just big. 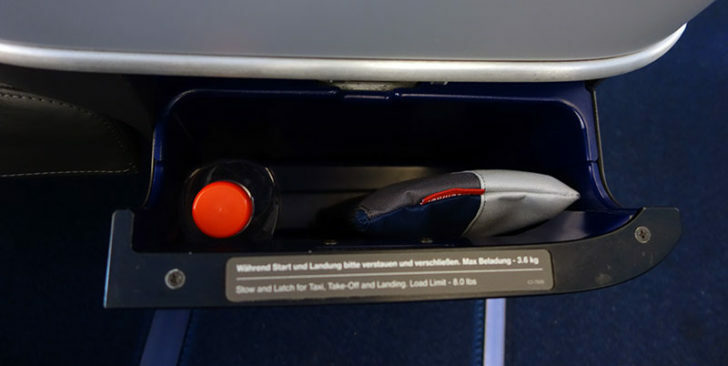 Size lets an airline install some special features, as Singapore Airlines and the Middle Eastern carriers have done with their suites and showers. In business class and coach, it just means more people. The main advantage seems to be that it’s a newer plane, and that usually means the latest seats. 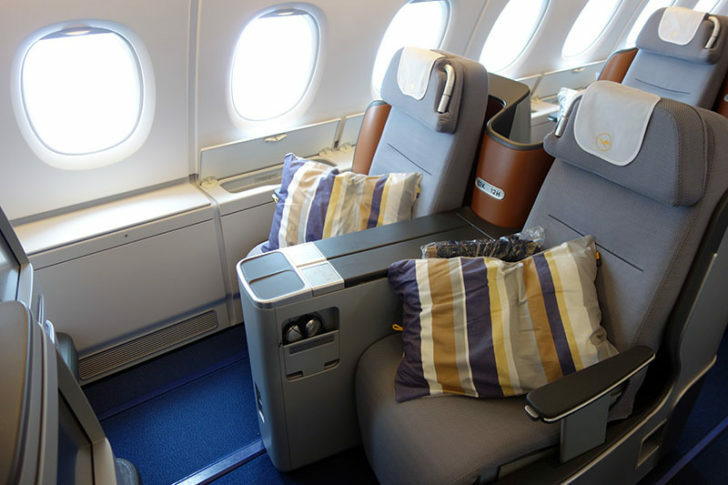 But you can find Lufthansa’s new business class on all its aircraft now, so that’s no reason to pick the Airbus A380 if you’ll be flying with them anyway.